Located in an historic setting against the striking backdrop of the majestic Morne Brabant, LUX* Le Morne is surrounded by white sandy beaches in a calm turquoise lagoon. Nestled amongst lush green vegetation, the resort has been designed in an authentic and sensitive manner, owing a great respect to the surrounding environment. Combining natural and traditional materials and colours with modern amenities, LUX* Le Morne unites the classic with the contemporary to exquisite effect. A natural elegance permeates the property. LUX* Le Morne is a unique and timeless hotel conceived and realized as a haven of peace and serenity. 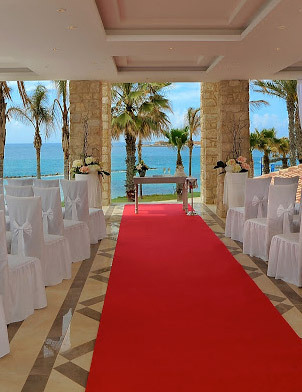 Weddings are organised in wonderful tropical surroundings of the hotel, in the gardens or on the beach itself with the sand between your toes. The registrar will come to the hotel to perform your marriage ceremony and pronounce you husband and wife. We recommend you hold your ceremony in the late afternoon to allow for some romantic sunset photos before a special aperitif at the Bar, followed by an intimate candlelit dinner, either on the beach itself, at a special table in the restaurant or on your own terrace or balcony. On your wedding day, the hotel offers a wedding cake and a special menu, as well as a bottle of bubbly so that you can celebrate in style. And then on your first morning as Mr and Mrs you will be served a romantic wedding breakfast on your own terrace. A very special location for a tropical beach wedding. Or perhaps have a private dinner on the beach? Perfect for couples and small wedding parties. Honeymooners are given a special welcome at Lux* Le More with lots of extra touches to make your stay a memorable one. Why not speak to our of our Mauritius Wedding Specialists who can help you with all the arrangements... Call 0808 168 1210 or enquire online.